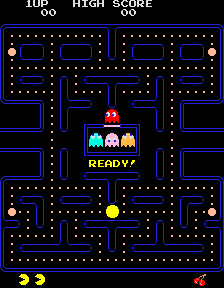 The pac file extension was also supposedly used by computer game from Namco called Pac-man, originally developed for arcades and Atari 2600 gaming console, latter ported for many other systems. Pac-Man is a arcade game developed by Namco and released for various gaming platforms now available for iOS operating system and video gaming consoles. You cannot open this type of *.pac files directly. This file type is not meant to be converted to anything else and it would be pointless to try to do so. and possible program actions that can be done with the file: like open pac file, edit pac file, convert pac file, view pac file, play pac file etc. (if exist software for corresponding action in File-Extensions.org's database). Click on the software link for more information about Pac-man. Pac-man uses pac file type for its internal purposes and/or also by different way than common edit or open file actions (eg. to install/execute/support an application itself, to store application or user data, configure program etc. ).